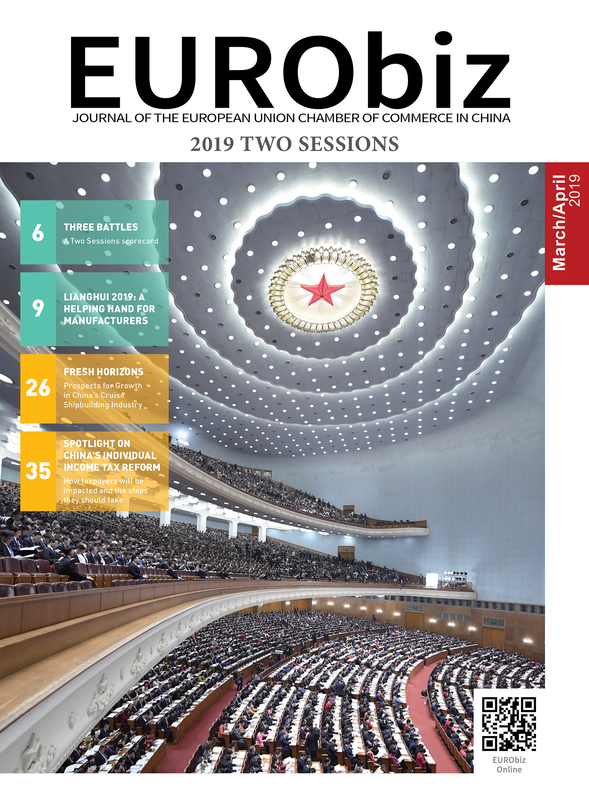 In it, the Chamber analyses the potential impact of the China Manufacturing 2025 (CM2025) initiative on both European business and China’s economy. This is accomplished through a review of the initiative’s goals, which include achieving domestic and international market-share targets in ten industries, attaining self-reliance for key components and turning the concept of ‘indigenous innovation’ into reality. It also focuses on five of the ten industries covered by CM2025, including new energy vehicles, industrial robotics and semiconductors, and outlines the consequences of government intervention in these sectors. 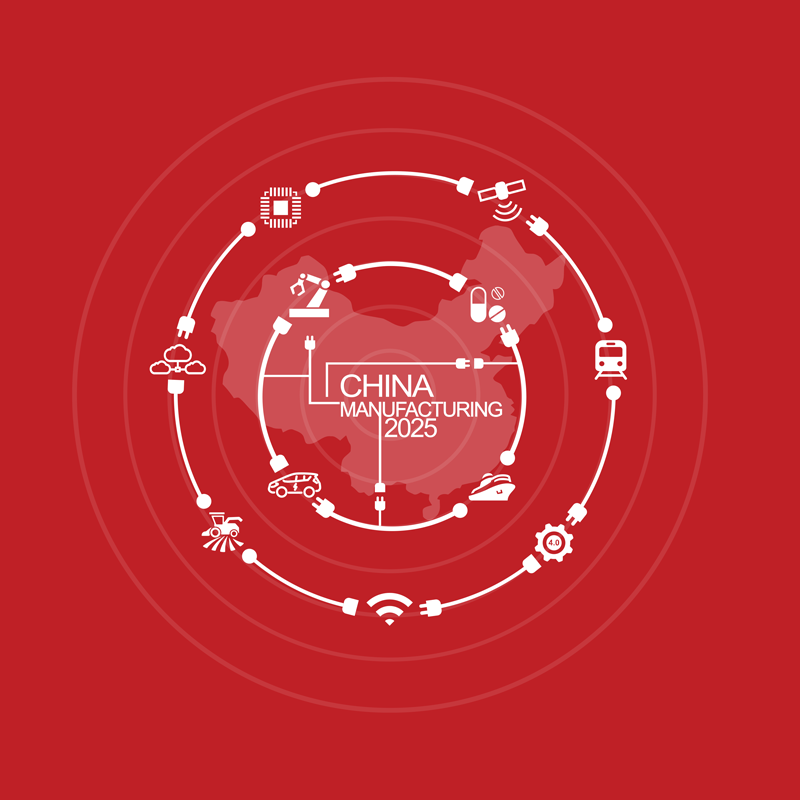 The Chamber’s study, China Manufacturing 2025: Putting Industrial Policy Ahead of Market Forces, had a significant impact upon its release, becoming a talking point among both policy-makers and political commentators. At the time of writing it had received 91 original reports in domestic and international media, including Wall Street Journal, New York Times, Financial Times, Reuters, Bloomberg, China Daily, South China Morning Post, Xinhua and Global Times. Several media carried multiple mentions over separate articles, and Wall Street Journal published an op-ed piece written by President Wuttke (see President’s Foreword on p. 5). The report was also referenced by Minister Miao Wei of the Ministry of Industry and Information Technology during an 11th March press conference in which he said that after fully evaluating the report, he found some of the suggestions provided by the European Chamber to be helpful. He went on to say that the market is the driving force behind the CM2025 initiative and that China is not forcing companies to transfer technology in exchange for market access. He also highlighted that both domestic and foreign companies should be treated equally under the CM2025 initiative. Below is the Executive Summary from the report. In May 2015, Chinese state planners launched another initiative to promote and support the development of advanced industries and technologies. It is clear that this latest attempt is not to be achieved through measures that will establish a market economy. Instead, government officials have tasked themselves with steering development and have handpicked the industries that they believe will drive China’s economy in the future. Titled China Manufacturing 2025, the plan sets ambitious goals for developing ten industries. The numbers attached to this initiative are staggering. In total, the Chinese central and local governments have announced hundreds of billions of euros of funding in the form of subsidies, funds and other channels of support. There is no doubt that China’s continuous, growing investments in research and development (R&D), and attempts to encourage its domestic industry to strive for quality and efficiency have a great deal of merit. However, the broad set of policy tools that are being employed to facilitate CM2025’s development are highly problematic. This has already created problems for both China’s economy and European business. Under recently passed legislation in the new energy vehicle (NEV) industry, for example, European business is facing intense pressure to turn over advanced technology in exchange for near-term market access; in the field of industrial robotics, government subsidies are contributing to overcapacity in the low- and mid-tiers of China’s market; and in the information technology industry European business is seeing market access constrict further. Despite the rhetoric of the Third Plenum’s Decision of 2013—which strongly advocates market forces—it seems that the Chinese Government is determined to maintain a prominent role in guiding the economy. This is highlighted by the large number of domestic and international market share targets that have been set, along with references to ‘indigenous innovation’ included in the multiple planning documents related to CM2025. The appearance of ‘indigenous innovation’—along with mentions of the need to realise ‘self-sufficiency’—is particularly concerning – it suggests that Chinese policies will further skew the competitive landscape in favour of domestic companies. The European Chamber believes that all companies should receive equal treatment under Chinese law, regardless of their nationality. It is plausible that the amount of state support that has been offered by the central and local governments for CM2025 will act as an early warning system to China’s international trade partners as to where additional industrial overcapacity is likely to emerge up to 2025 and beyond. As with industries like steel and solar panels in the past, such overcapacity would run the risk of creating new, and exacerbating existing, tensions with China’s international trade partners. This would be even more undesirable at a time when support for economic globalisation and free trade is facing growing opposition in some quarters. Furthermore, the government-driven approach to pursuing international acquisitions that align with industrial policy priorities may jeopardise Chinese companies’ efforts to complete regular, market-based outbound investments. In the short and medium term, CM2025 does present attractive opportunities for some European businesses to play an important role, though. Numerous European companies have already established partnerships with Chinese companies in this respect, to provide critical components, technology and management skills for areas covered by CM2025. However, in the long term CM2025 amounts, in large part, to an import substitution plan. Market access for European business can therefore be expected to shrink, especially in areas where Chinese companies are able to close the technology gap. The world would benefit from additional innovative Chinese products and services, but not at the expense of inhibiting market forces through state-driven schemes. The commitments made by President Xi Jinping during his speech at the World Economic Forum in Davos along with those made by the State Council in January 2017, to encourage investment in advanced manufacturing by foreign-invested enterprises (FIEs) and to ensure that these companies receive equal treatment under strategic policies and measures related to CM2025, were extremely positive. In the interests of mutual benefit, and to ensure that China reaches its full technological potential, the European Chamber hopes that China follows through on these commitments and that European business is indeed permitted to participate in this process and compete as a full and equal partner in an open ecosystem for innovation. However, it is important to understand that even if CM2025 is opened to a wider range of participants, it will not guarantee that China is able to avoid the middle income trap. Of the 101 countries that had achieved middle-income status in 1960, only 13 ultimately reached high-income status. It was a failure on the part of the other 88 countries to undertake the necessary institutional reforms that led to their growth slowly stabilising, before eventually becoming stagnant. This would be a highly undesirable outcome for both China and the world economy, and one that is explicitly cautioned against in the 13th Five-year Plan, as well as in the interview with the ‘authoritative person’, published in People’s Daily on 9th May, 2016. Fortunately, China already has a blueprint that will allow it to carry out the restructuring necessary to avoid this outcome and to lay a strong foundation for its manufacturing industry – the Third Plenum’s reform agenda, as committed to in the 2013 Decision. It would therefore be advisable for the Chinese authorities to now develop a roadmap that thoughtfully prioritises these reforms and to focus on the key competencies of government: facilitating innovation through support for basic research, building necessary infrastructure and establishing a fair and transparent regulatory environment for private business. Ultimately, perfecting the market would do far more to ensure that China reaches its full potential for economic development and innovation than more old-school, expensive industrial planning ever could. In this ongoing struggle between ‘masters and markets’, European business is poised to contribute its expertise and invest in China’s future. Share the post "Are we part of the plan? China Manufacturing 2025: Putting Industrial Policy Ahead of Market Forces"